Building on its strong consumer following and consistently high review scores, the Virtua Tennis series delivers another ace this May. 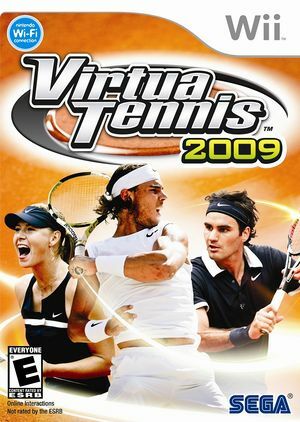 Virtua Tennis 2009 maintains the unprecedented realism and pin-point gameplay mechanics the series is known for and also now features improved shot accuracy, more control on serves and the chance to compete for the esteemed Davis Cup. Players will sharpen their court skills in 12 fan-favorite mini-games in preparation for fierce competition in an all-new World Tour mode where they will smash the competition as one of 20 elite tennis stars. The graph below charts the compatibility with Virtua Tennis 2009 since Dolphin's 2.0 release, listing revisions only where a compatibility change occurred. This page was last edited on 24 January 2018, at 04:15.